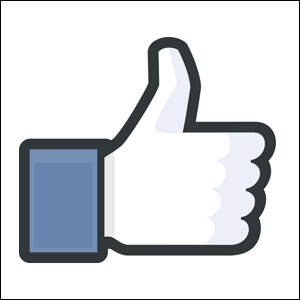 The Facebook “Like” Button Was Originally Known As? The Only Alcohol Recognized By Congress Is? The now ubiquitous Facebook “Like” button, a little hand giving the thumbs up sign cuffed in a blue sleeve, almost ended up with a different moniker. The button project started back in 2007 under the codename “Props” as a way to incorporate a design element that would allow users to express that they liked a post or photo another Facebook user had shared. Initially designers considered a wide variety of ways to implement such a system including a star system (discarded because one star implies a poor review), a plus sign (discarded along with the idea that they would include a minus sign for users to express dislike of a post), and the now-adopted thumbs up sign (they were originally hesitant to use the symbol over concern it might translate poorly into foreign markets where the thumbs up is considered a rude gesture). They also wrangled with naming and opted to call it the “Awesome” button. Although they had intended “Awesome” to be a place holder as they churned through other ideas, the name became popular among both those on the team and outside it. Despite the hold “Awesome” had, eventually “Like” was proposed as a more universally understood term and, along with the thumbs up, it stuck.